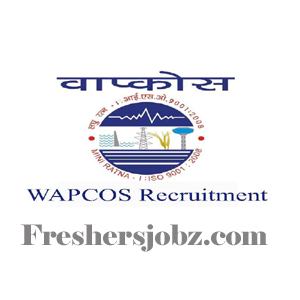 WAPCOS Notification 2018.Water and Power Consultancy Services, WAPCOS has released a notification for the recruitment of Junior Engineer, Accounts Assistant, Multiple Vacancies.Check the eligiblity and notification prior to apply for the positions. 1. Qualification: Diploma in Civil Engineering from recognized Board. 2 .Experience: Minimum 4 years experience for Diploma Engineers having experience in Commercial Building Construction, Structural Erection, Quality Control of works, Safety procedure Execution, Knowledge about IS Code, Billing, Computer proficiency. 2 .Experience: Minimum 4 years Experience in Construction Building, Knowledge about billing procedure, user friendly with Billing Software. 2 .Experience: Minimum 4 years experience in data entry jobs, having knowledge about MS Office, Internet, presentation software and documentation. An interview/Skill Test will be conducted to shortlist the candidates. Interested eligible candidates are required to download the application format (CV) from our website: www.wapcos.co.in & submit the same duly filled in along with all documents in support of their eligibility by Speed Post/Registered Post only in a cover superscribed “APPLICATION FOR THE POST OF_____________, SL.NO_____” so as to reach the Project Manager, PMC, WAPCOS Limited, Plot No- N3/200, IRC Village, Near Ekamra Villa Chowk, Nayapalli, Bhubaneswar- 751 015, Odisha by 05 PM of dt. 09.10.2018 positively. Application received after the due date & delay in postal service or for any other reason shall not be entertained and will be rejected. Applications by hand will not be entertained under any circumstances. Multiple applications in one Envelope will not be considered.